There'd been a lot of stories about gaming companies closing up shop recently. Many of them were looking to sell their game to other developers. 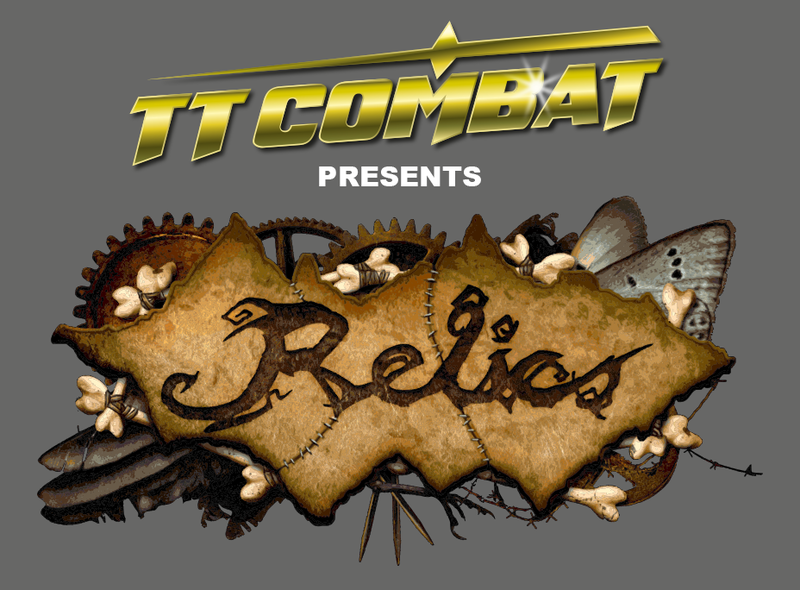 Well, in the case of Tor Gaming and Relics, it has been picked up by TTCombat. They will now be the ones behind the helm of the game. 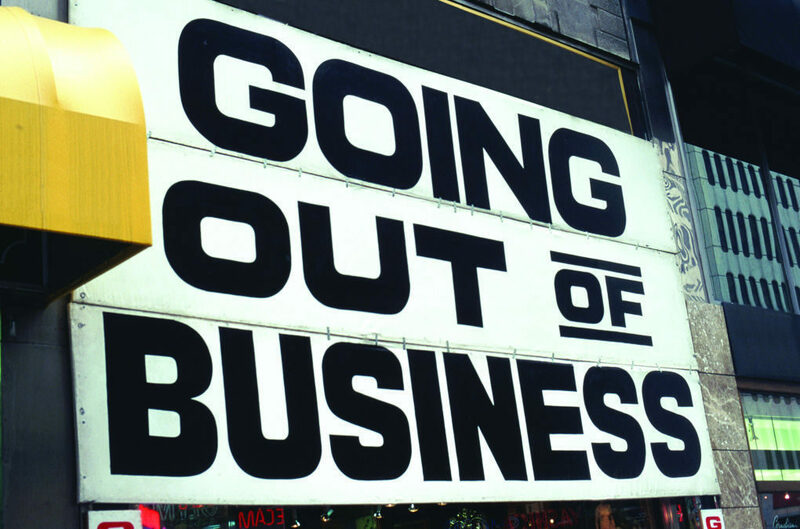 Man, just a sad day for companies closing their doors today. Tor Gaming, makers of Relics, is closing up shop. Gavin might be taking the day off over at Tor Gaming today (being a bank holiday in Britain, as it is), and I'm sure he's enjoying a cuppa, but that doesn't mean the Tor Gaming website doesn't have some new stuff for you. They've released new Tactical Formations. And it's not just one or two factions, but each one has a new one you can pick from. Gavin over at Tor Gaming has been working hard. But all that tea he drinks, it's probably the caffeine getting to him. 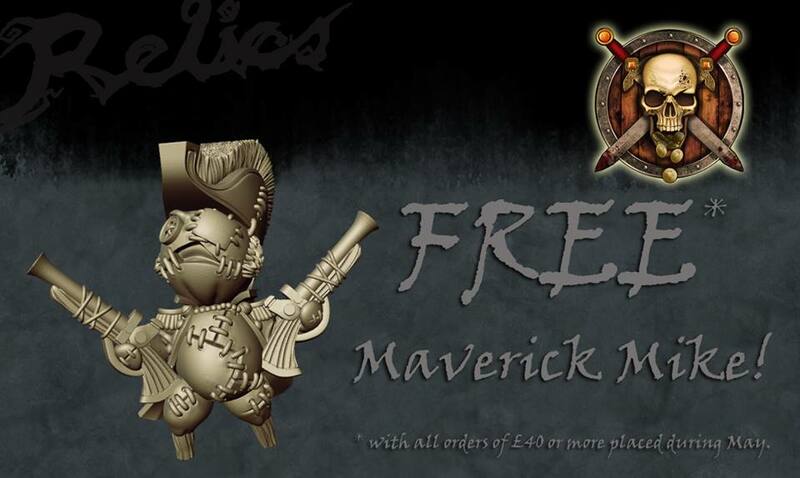 The March releases for Relics are over in the Tor Gaming webstore and available to order. Make sure you put your name on the list and get yours as soon as they're released. Meanwhile, you can also check out April's releases. 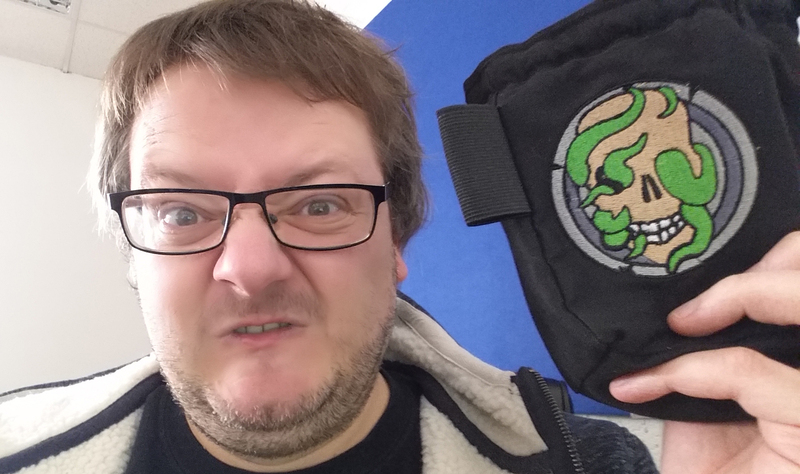 Gavin has been busy over in his Tor Gaming workshop. The amounts of tea he's been drinking could be considered "insane," even for a Brit. But all that caffeine has resulted in a new edition of Relics. 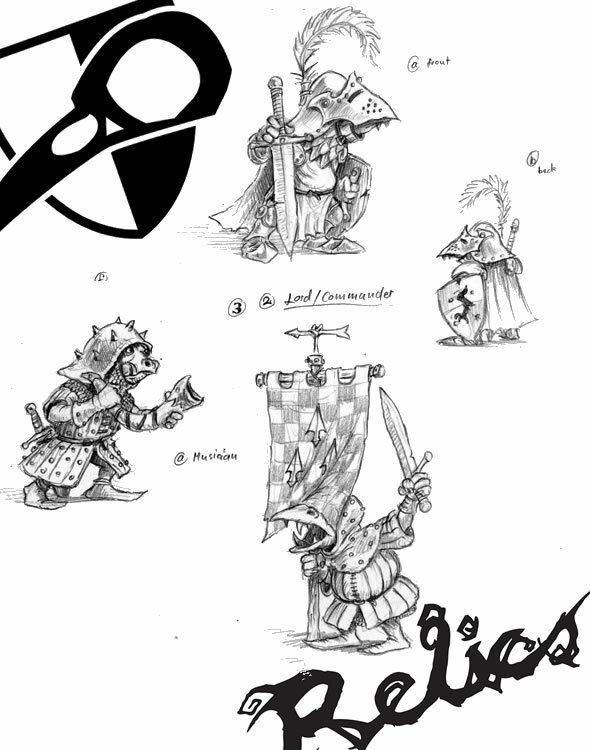 You can download them, for free, over on the Tor Gaming website. To go along with it, there's some new releases and pre-releases available as well. It's always cool to see items that were on Kickstarter be available for general sale. It shows a real successful Kickstarter campaign. 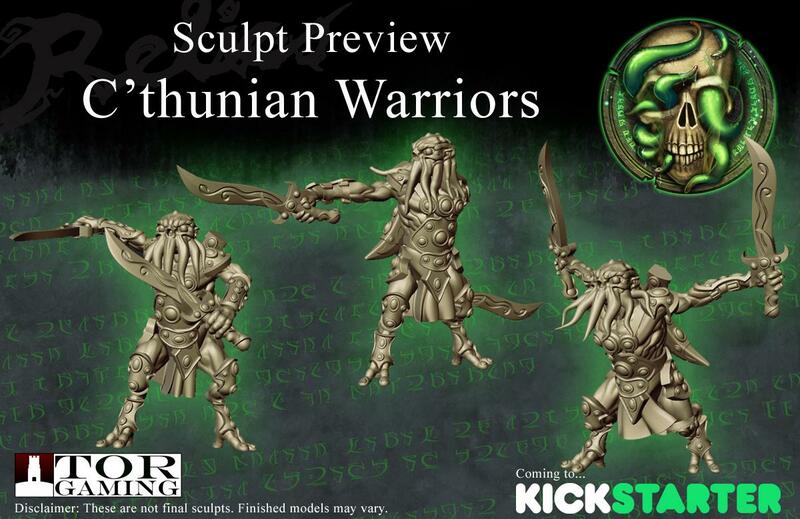 Well, Gavin over at Tor Gaming has started taking pre-orders for the latest C'thu models for Relics. They were originally on Kickstarter, and now you can get them (or, at least, you can get them soon). Seems it's just a time for sales and special offers. Tor Gaming has one of those going for the month of May with their Maverick Mike offer. Just spend £40 or more in their webshop and you'll get one for free (be sure to add him to your cart and use the "FREEMIKE" coupon code). How will you get to £40 for your order? Well, you could order some of the new Vaettir Brocken. Who doesn't love a birthday? There's a party. Cake. Balloons. Presents. It's a good time had by all. 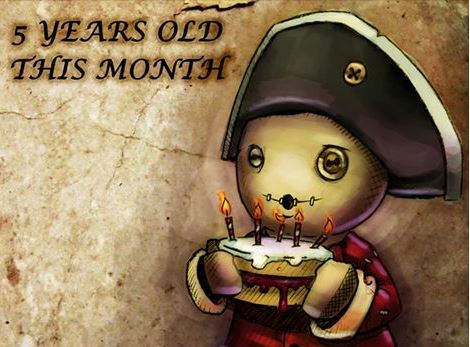 Well, Tor Gaming has a birthday coming up this month, but they're giving you the presents in the form of a birthday sale in their webshop. We're getting there, people. We're getting there. The weekend is damn-near here. I've got a couple Guild Ball teams to put together. It's so close that our friends over in Australia are already there. Hello people in the future! How's the weekend starting out? Good, I hope. My you're up late. Anyway, whether you're enjoying a midnight snack, some dinner (for those in, say, England), or an afternoon snack (those here in the Eastern part of the US), now's a good time for some bite-sized stories. 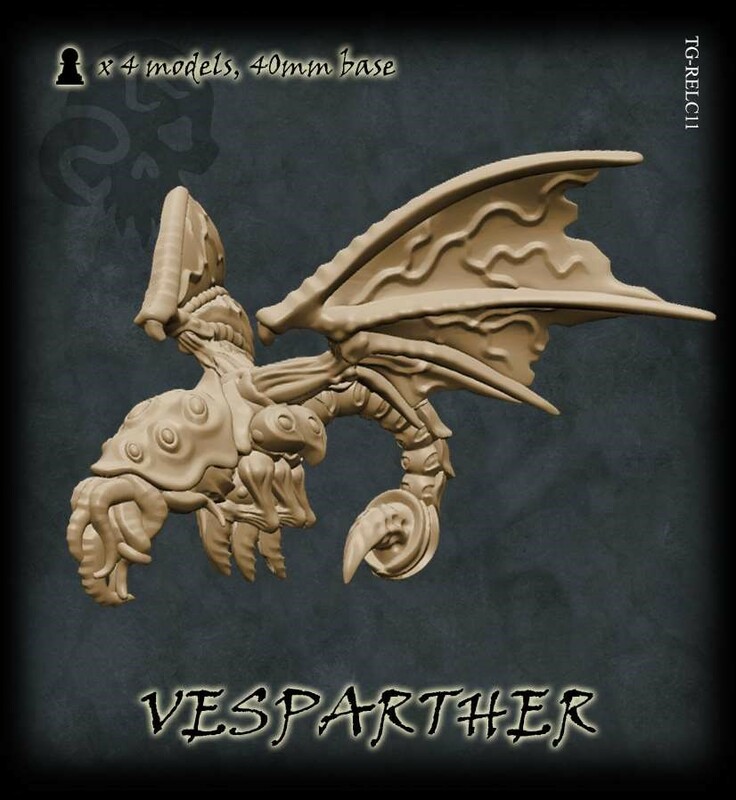 In this installment of Snippets we have: Win a C'thu Dice Bag From Tor Gaming, Fate of Akalon: Tribes Returning To Kickstarter Next Week, New Legionaries Vibro Talons Available From Kromlech, New 15mm Sci-Fi Minis Up On Kickstarter, Khurasan releases more 15mm Mutant Supersoldiers, Pacific Coast Creative Publishing To Release Age of the Wizard Lords RPG, DayTrippers Golden Age Coming Leap Day, and Counterblast Hero Builder Beta v.1 Available. Seems the C'thu have been pretty popular. The Kickstarter campaign for the new Relics faction has been making their way through various stretch goals. As such, there's quite a lot that's been made available as add-ons for the campaign. If you value your sanity, you might not want to click through. Officially, Gavin, Larry, and all the others at Tor Gaming are off for the holidays (must be nice). 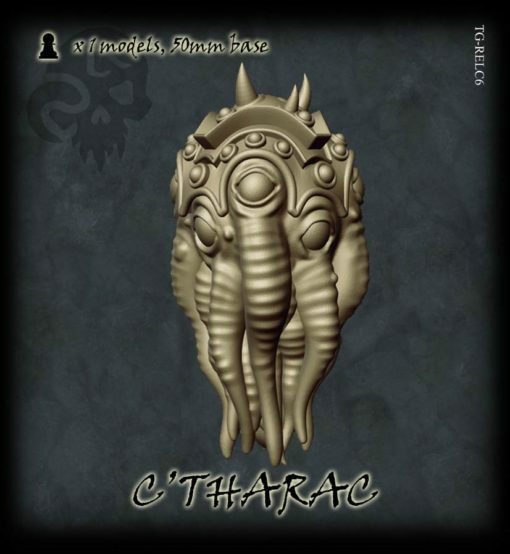 But that doesn't mean they're not posting stuff about the upcoming C'thu Kickstarter campaign they'll be running for Relics. It's been a while since I took a look at the game, proper, but this new faction might just be what pulls me back in. I'm loving how the sculpt look. 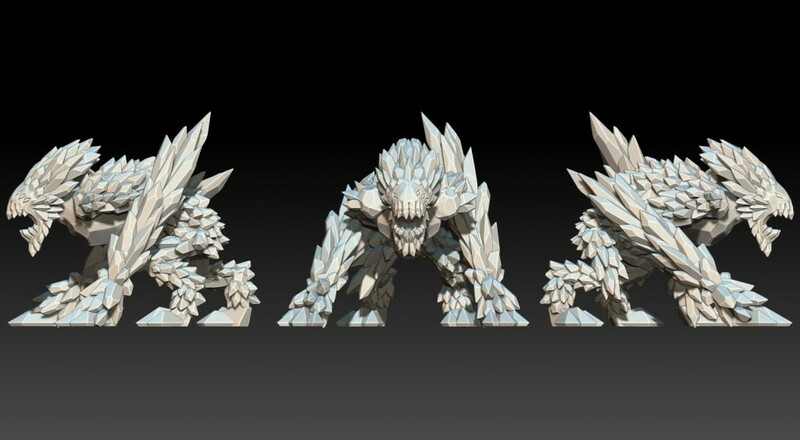 Speaking of which, here's a look some of the units. We've all known for quite some time that Gavin over at Tor Gaming was a little crazy (I mean, he calls a car's hood a bonnet! :P ). 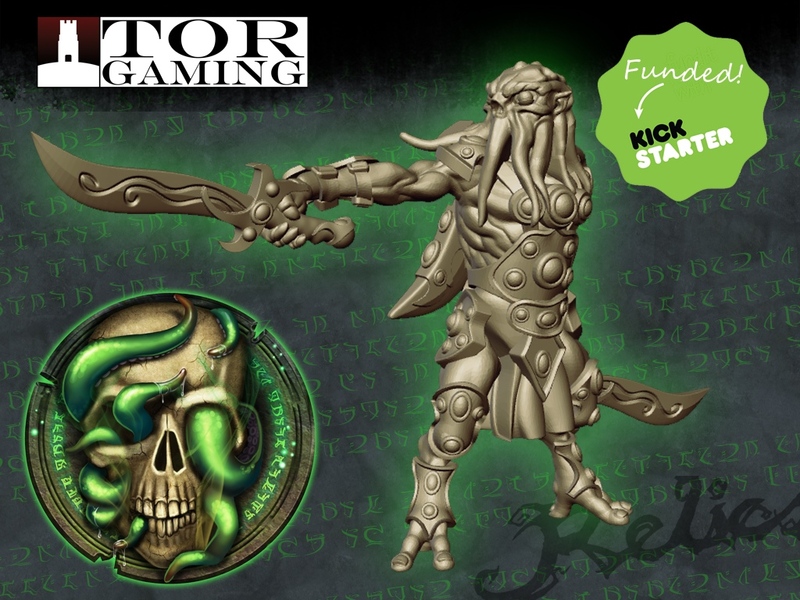 Tor Gaming has announced that they're going to be adding a new faction to Relics and they're going to do so via Kickstarter. 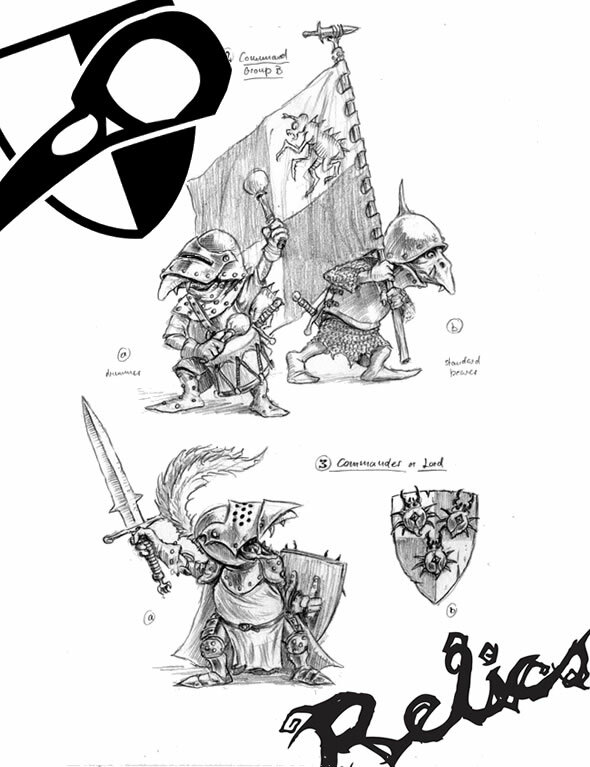 Well, they've got some new preview artwork to show off for the upcoming campaign. 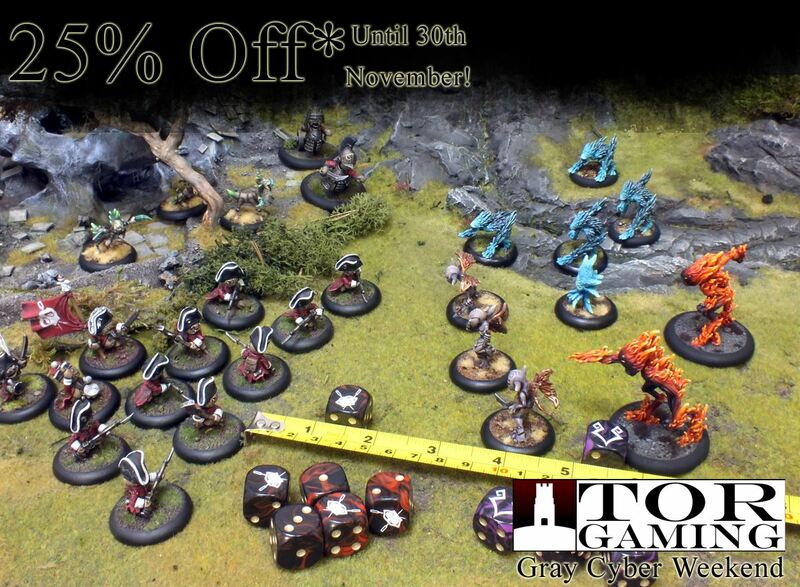 Gavin and Larry over at Tor Gaming are having themselves a sale. But Gavin being Gavin, it's a Gray Cyber Weekend sale (because he's kooky like that). Warlord Games isn't the only company giving out some free shipping this month. Tor Gaming is doing much the same. Though they're not making any sort of reference to Christmas with their announcement... which I guess I just made a reference to... but there we are, then. Gavin and Larry (mostly Gavin, Larry just sits around, eating chicken) have been working hard over at Tor Gaming. They have their recently-released Ridend faction that people are picking up. Now they've posted up a couple of new releases they'll be coming out with in the next couple months. While Gavin, Larry, and the others at Tor Gaming might be on vacation for the summer, that doesn't mean that there's nothing going on for Relics. For you Ridend players, there's a trio of new releases that are coming out soon that you can get your name on the list to get them as soon as they're released. Be the first gamer on your block with these figures. 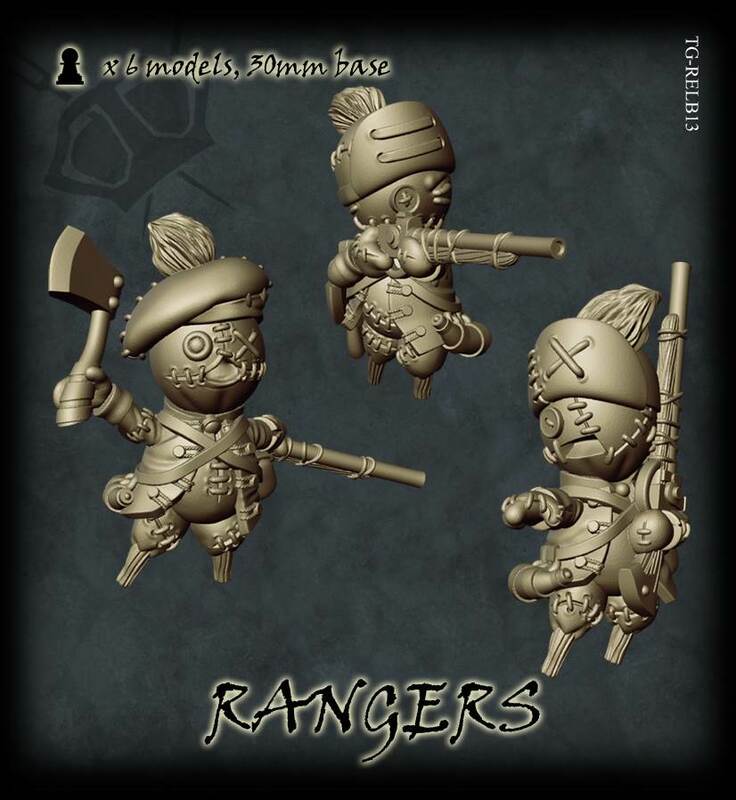 Tor Gaming is now taking pre-orders for the first couple sets for the Ridend, a new faction for Relics, their stitchpunk miniatures skirmish game. Though they're not all that impressive individually, the Ridend possess all the rabid determination of a miniature doberman pinscher. They'll gladly swarm over any opponent in acts of fearlessness and use a thousand paper cuts to bring down even the largest of foes. Tor Gaming has their newest Relics releases up and available in their webshop. Along with that, there's been a rather extensive bunch of changes to their catalog. There's some discontinuations of certain codes, since those models will now be available in different sets. There's some reorganization of certain starter and unit packs. They've got updated prices for those new sets as well. 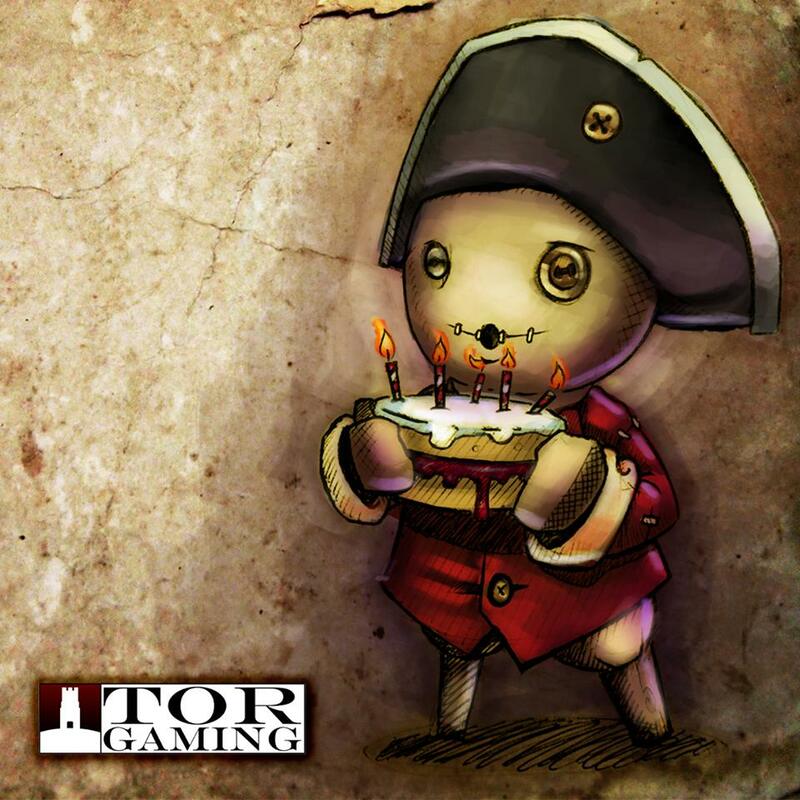 Tor Gaming turns 5 years old this month. They've got a special deal going on where all orders between now and April 19 get a surprise. It might be a little pin, or a free model, or just a little bit of whatever (maybe you'll get a spin caster. Never know). Tor Gaming has several new releases for Relics that they're showing off. For the doll-like Britannan, there's the Heavy Dragoons. For the sadistic Nuem, they've got the Praefectus Equitum. And for the former-elven Vaettir, there's the Vicario. Don't know about Relics? That's ok, you can check out my review I did. 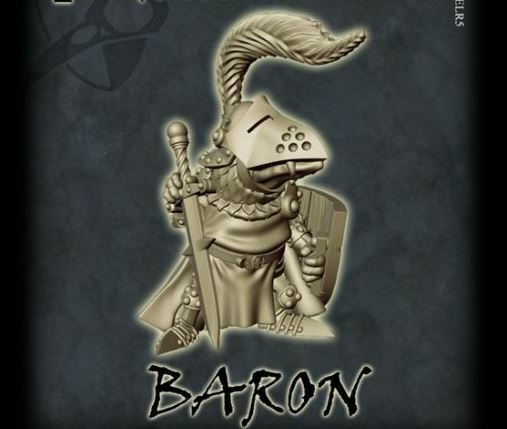 Tor Gaming shows off some more Relics previews with a look at the Ridend Barons. In battle the Ridend Barons stalk the fields, directing the brave Ridendean warriors onward into the thick of the fighting. Each accompanied by two of their most loyal Men-at-arms, one bearing the Ridend Barons own personal Coat of Arms and the other acting as musician/signaller, each baron is an inspiring sight to behold. Such divine oaths of loyalty are commanded by the Ridend Barons that those who swear to serve them will not hesitate to march head on into certain doom if they should be ordered to do so.